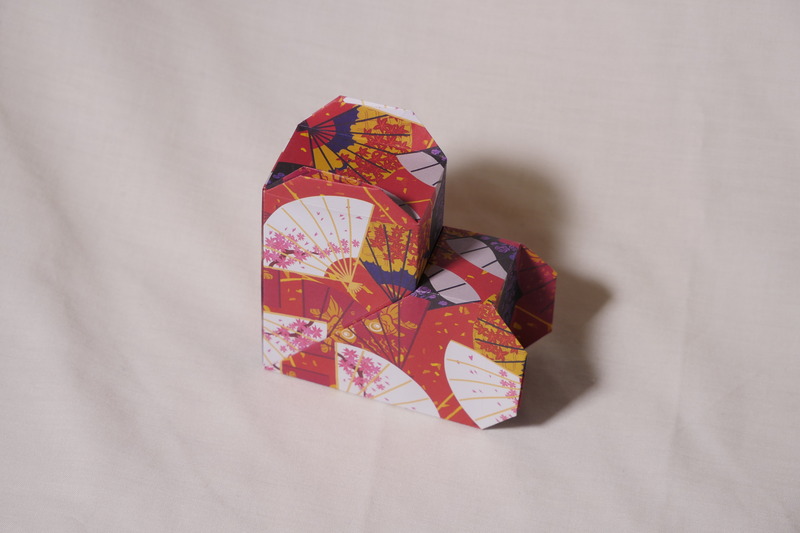 This cute box is by Ilan Garibi. He also has a lot of other models on his website and his youtube channel. 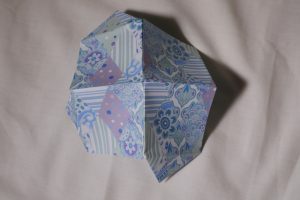 It is folded from one sheet 20cm double-sided paper by “Die Sachenmacher”. He published a video tutorial. 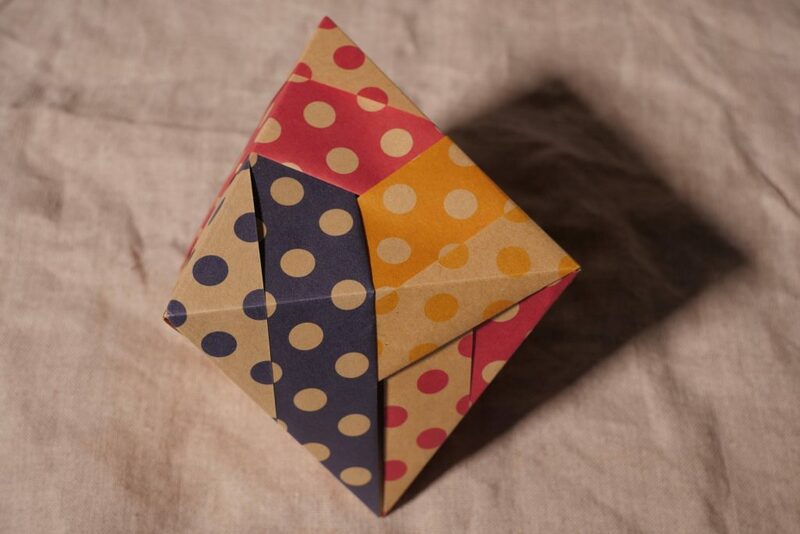 It’s easy to fold, and really cute. I guess it should be folded from stronger paper, because mine doesn’t stay closed so well. 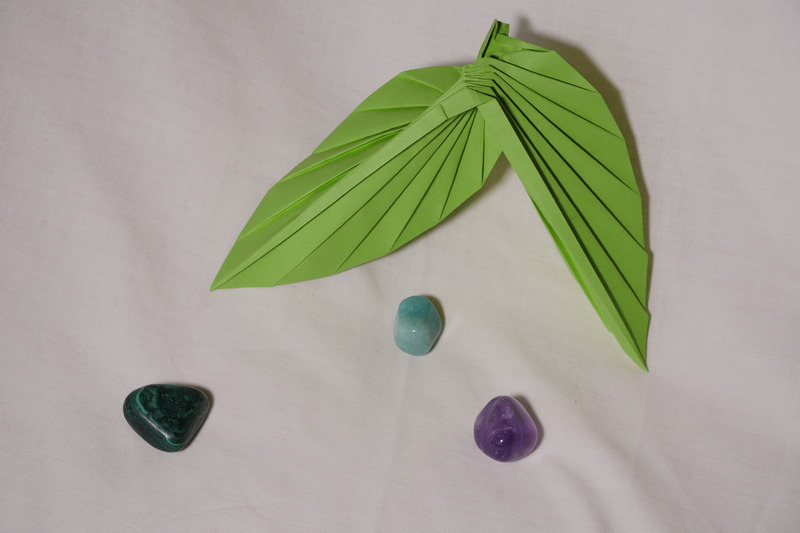 This modular origami by Tomoko Fusè can be found in “Origami modulaires d’exception” (nuinui, ISBN 9782889355815, page 106). It is folded from 6 sheets of 15cm kraft paper from Daiso. 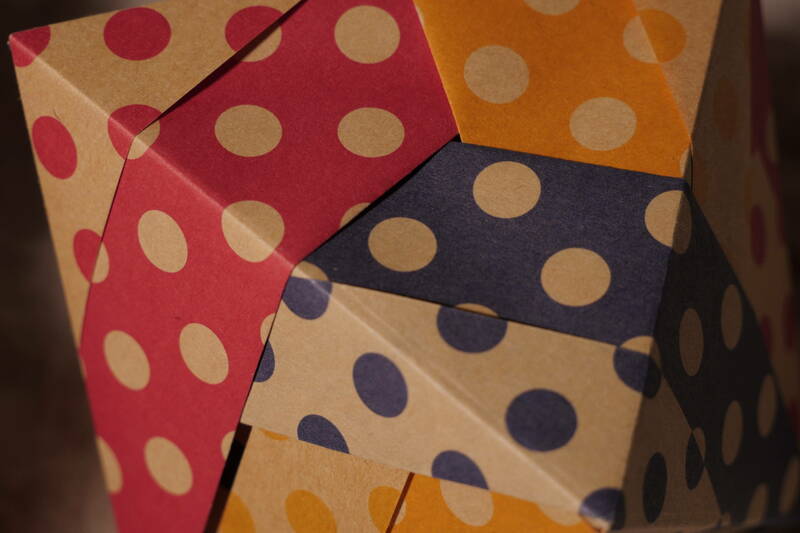 I like the double-sided effect, but it’s pretty with one-sided paper too. 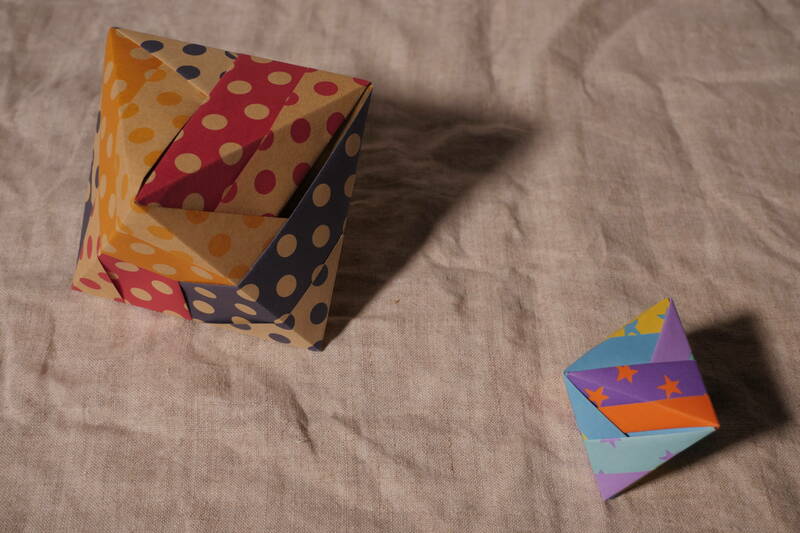 3 modules are folded and assembled, then 3 more are made in mirror direction, then all are put together. You can also make a pyramid using only 3 modules. 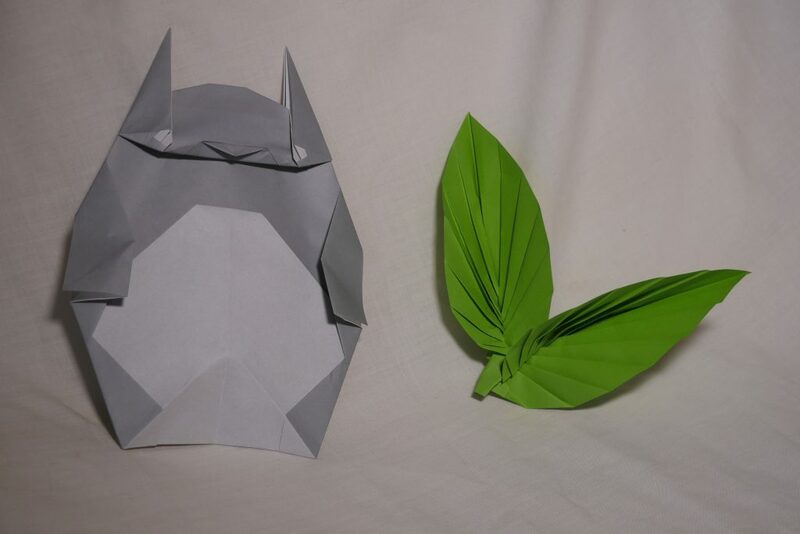 The small one is made with 7.5 cm paper “Dot mini origami – star” by Showa Grimm. 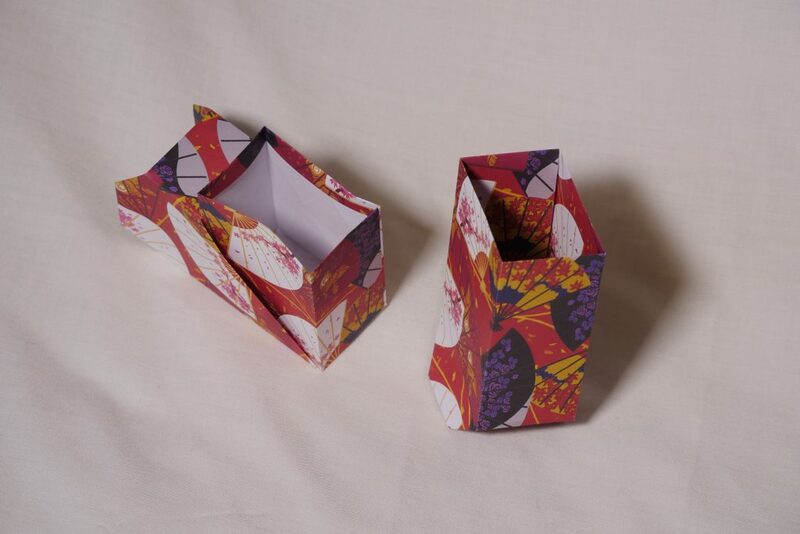 Paperkawaii published the video tutorial for this box a while ago. She has other cute models, but isn’t afraid of cutting and gluing – not my thing. 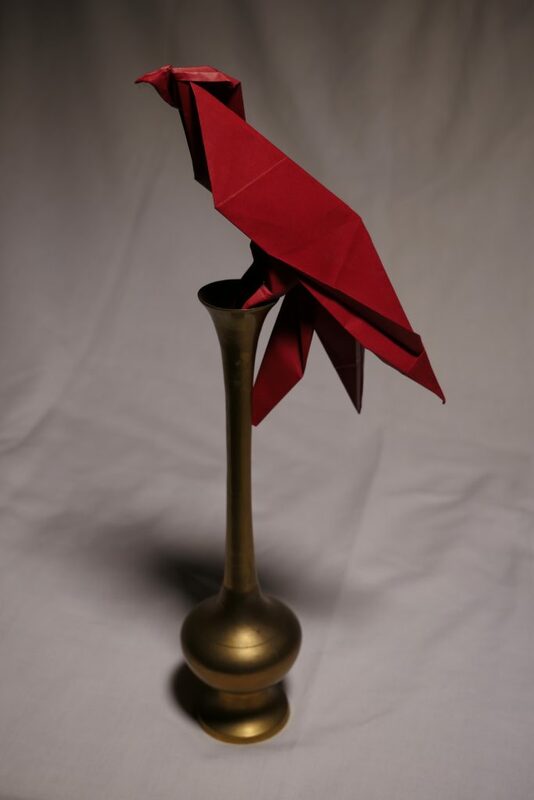 This model is pure origami though. Beware, the music she puts on the videos is really irritating, but you can just shut it off, since she doesn’t talk. It is folded from 2 sheets of 20cm paper (from a nuinui kit). This elegant falcon by Luca Vitagliano can be found in “Origami – la touche italienne”, ISBN 9782889355495, page 114 (it exists in other languages too, nuinui is an multi-languages editing house). 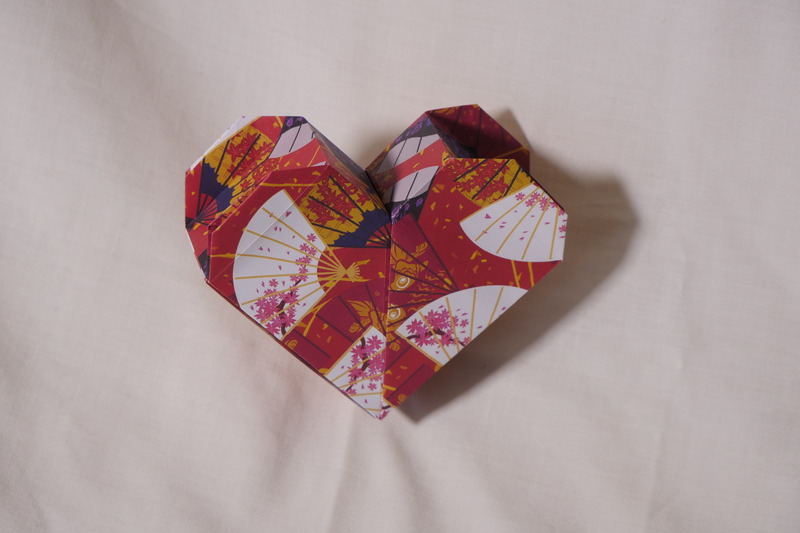 It is folded from one sheet of 24 cm kami. I really like that it holds well on something (here a vase). 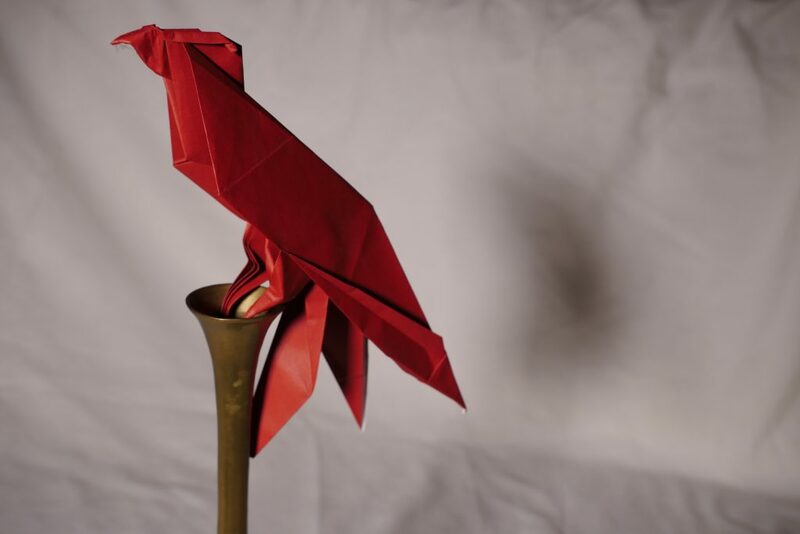 It’s not too hard to fold, and it has some details that make it recognizable as a falcon. 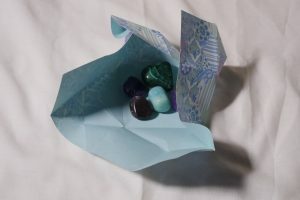 This was my first attempt to fold it, but I’ll probably fold it again with different papers.